Does melatonin prevent macular degeneration? Could low melatonin levels (caused by blue-rich light exposure in the evening and night and/or by insuffient sleep) heighten the risk for macular degeneration due to shorter amount of time that melatonin scavenges free radicals in the retina? Evidence is conflicting as to whether exposure to sunlight contributes to the development of macular degeneration. A recent study on 446 subjects found it does not . Other research, however, has shown high-energy visible light ("blue wavelengths") may contribute to age-related macular degeneration [2 and 3]. Data indicates that melatonin, being an efficient antioxidant with antinitridergic properties, has a promising role in the treatment and management of glaucoma. Melatonin could protect the ocular tissues against disorders like glaucoma, age-related macular degeneration, retinopathy of prematurity, photo-keratitis and cataracts . However, melatonin secretion is inhibited by short or low quality sleep and by the ubiquitous blue-rich light exposure in the evening and night, hence for many people melatonin secretion starts as late as 90 minutes after falling asleep (i.e. 90 minutes after the last exposure to shorter visible spectrum wavelengths). As a consequence, melatonin has less time to function as an antioxidant in the body in general (which has been proved to result in higher cancer incidence) and also in the eye. When people are not exposed to blue wavelengths in the evening (e.g. by using firelight or dimmed incandescent bulbs or wearing red glasses) melatonin secretion starts roughly 90 minutes before sleep so melatonin has more time to do its antioxidant work. My second question is about the relationship between macular degeneration and LED lights. Could LED lights also increase the risk for macular degeneration? 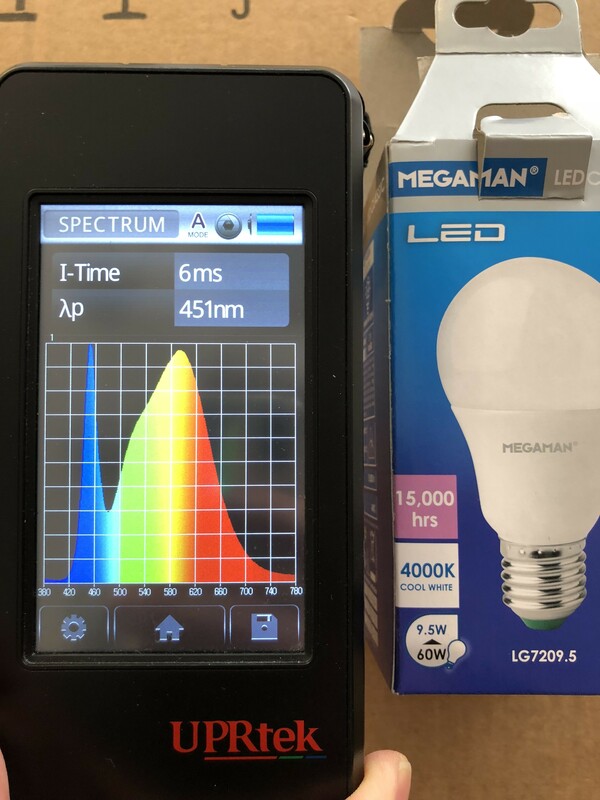 Typically, LED lights (CCT = 4000 K) have a maximum peak at around 451 nm and a minimum in the 460-500 nm range (as is shown in their spectral power distribution of such LED lights below). Melanopsin that controls pupilary reflex (pupil constriction), however, has maximum sensitivity around 479 nm - right in the LED spectral power distribution's (SPD) minimum. Could it be that due to this gap in SPD the pupil does not constrict enough and hence allows more of this blue rich light into the eye that as a result generates more free radicals and contributes to macular degeneration? Could this in combination with low sleep quality contribute to the onset of macular degeneration as LED (and lack of sleep) are widespread? Browse other questions tagged biochemistry vision human-eye sleep light or ask your own question. How are melatonin levels measured in humans? Why do you need you room dark for melatonin release?